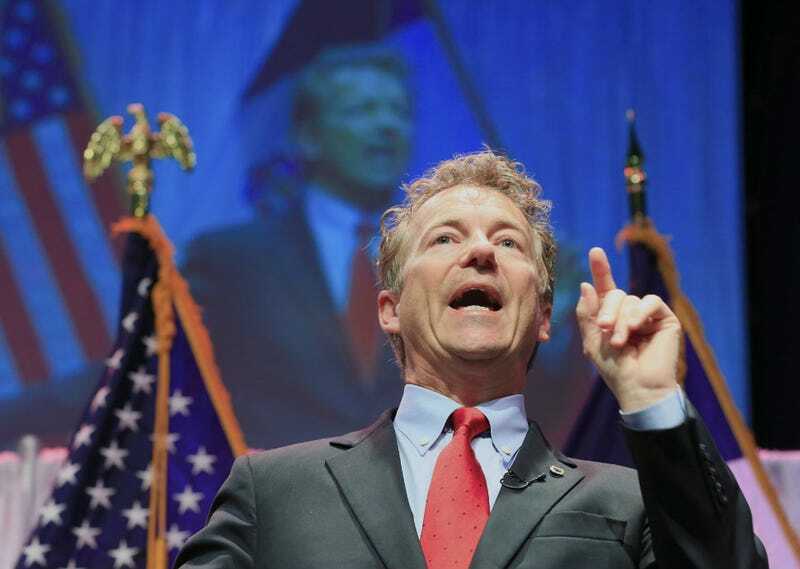 On conservative talk radio host Laura Ingraham’s show today, senator and presidential candidate Rand Paul blamed the riots in Baltimore on “the breakdown of the family structure” and “a lack of fathers,” among other things. Rand Paul’s own son has been arrested three times on alcohol-related charges, including assault. Paul frequently talks about police brutality, including writing an essay for Time on the need to demilitarize the police in August of 2014, near the start of the protests in Ferguson following the killing of Michael Brown by police officer Darren Wilson. Today, though, he appeared to be trying to strike a harder edge for Ingraham’s audience, saying it wasn’t the right time to talk about the “root causes” of the riots, which began after Freddie Gray died of a spinal injury in police custody. Paul also said, briefly, that police violence in Baltimore did need to be addressed: “The young men that died in police custody, justice has to come from that,” Paul said, but added that the violence didn’t excuse “thuggery and thievery” in the city. Rand Paul’s son William was most recently arrested for drunk driving earlier this month. No word from the senator yet on whether that too can be blamed on a lack of fathers and/or moral code.